My journey to search the perfect peachy tone blusher has been a very long one. While it compliments fair skin girls beautifully, peachy tone blusher seems to annoyingly disappears on me. Perhaps the wise thing for me to do is to accept the fact it is just not the right colour tone for me but since I am stubborn as a mule and the word giveup is non existence in my makeup vocabulary, the hunt continued....and then I stumbled across Bourjois Little Round Pot Blusher and I bought the shade 41 Healthy Mix. Now I will be the first to admit that I am not the biggest fan of powder blush. I personally find powder blushers does not last as long as cream blushers and most of it looks horrible on my dry skin. However, I am glad to say this little pot of wonder has firmly changed my mind. Bourjois Little Round Pot Blusher - 41 Healthy Mix is a peach tone matte baked blush. Yes, you read that right, it is matte. There is no shimmer in it which is how I like my blushers to be. Let's just say, fine lines + dry skin + shimmer = Gurllll! What were you thinking?! I also do not detect any pink/orange undertone in this blush, it's just a neutral peach shade and the best part, it shows up on my skin. This blush gave my face such a natural, fresh rosy glow and I had so many friends complementing me whenever I use this. No one suspected I was using a blusher, they just thought I was flushed minus the sweat after bouncing around with little tyke. This blush is pigmented and the colour can be easily build up without going overboard. It also lasted the whole day on me and yes, it barely fade even with Malaysia humidity. Very impressive! The only thing that I frowned upon is I have to use a brush with a rougher bristles to pick up this product for application. 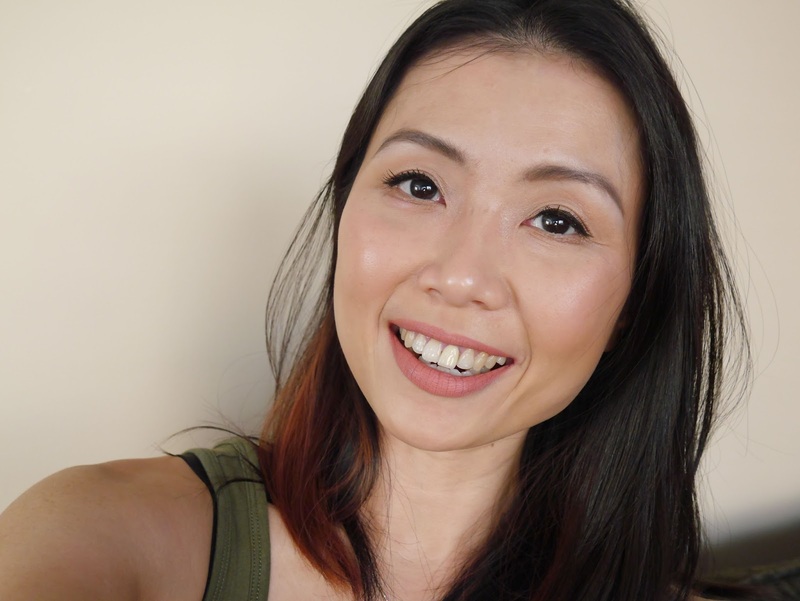 I tried using my Wayne Goss Brush 2 (a gorgeous brush!) and it barely pick up any product. I might try to scrape off the top layer the next time I use it, maybe that will help. This blush does have a soft old powder smell to it upon application but rest assured, it does not linger. I personally do not like fragrance in my makeup but this did not annoy me in any way.